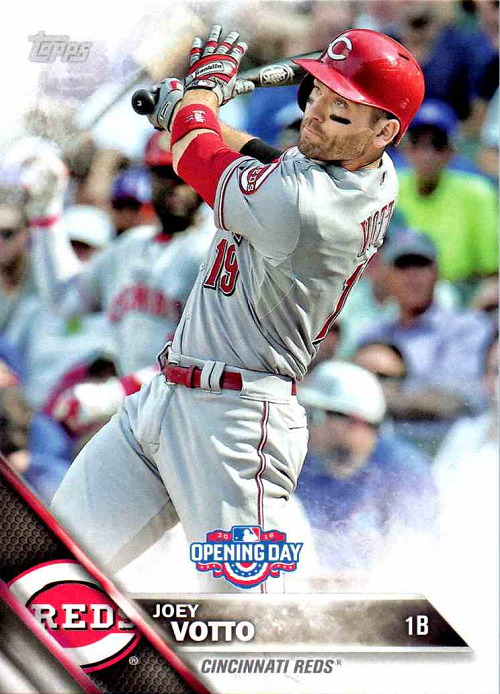 Fun Cards: 2019 TWJ Opening Day Cincinnati Reds! 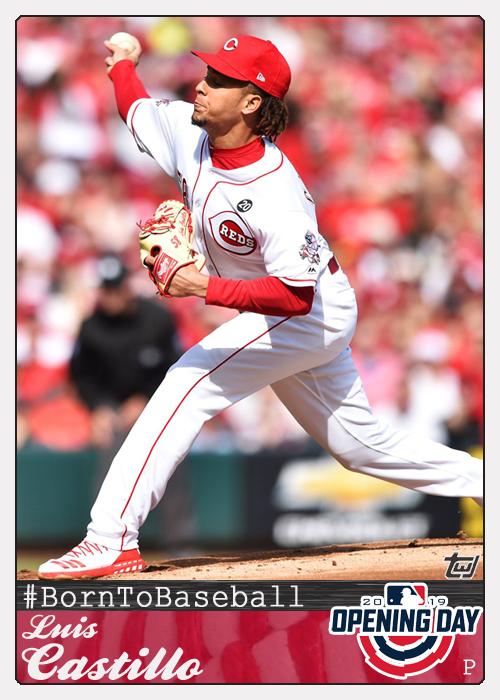 Luis Castillo got his first-ever Opening Day start in the majors; Jose Peraza scored the first run for the Reds in 2019 and hit a 3-run homer in the 7th. I will update this later if I find additional photos. Finally! 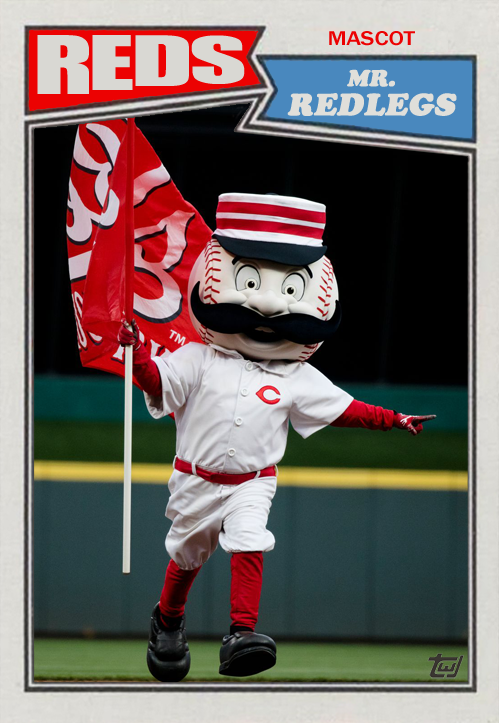 Opening Day is here! 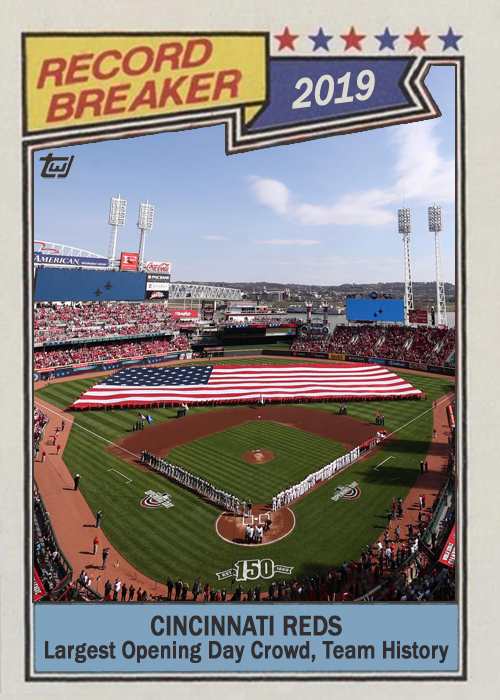 The Reds All-Time Opening Day Lineup includes three Hall of Famers, and a guy who may garner some serious consideration for Cooperstown when his career comes to an end. 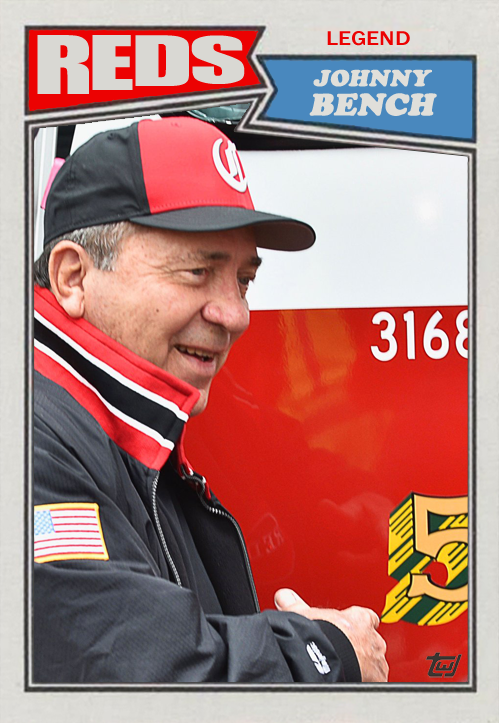 Catcher: Johnny Bench – 12 games (1969-1976, 1978- 1981); Bench also started on Opening Day in 1982 and 1983 at third base. 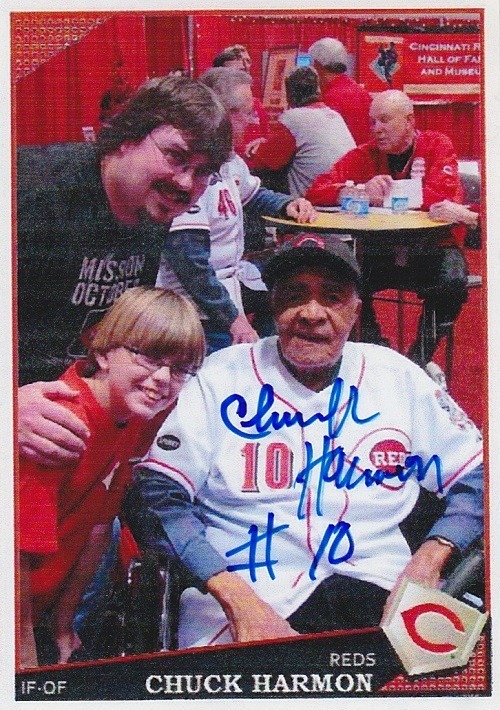 Centerfield: Edd Roush – 8 (1917-1920, 1924-1926, 1931) and Vada Pinson – 8 (1959-1962, 1964-1965, 1967-1968); Pinson also started in leftfield in 1958, 1963, and 1966. 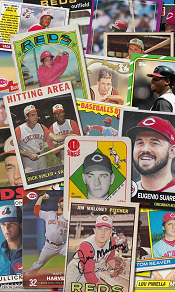 Pete Rose deserves a special mention. 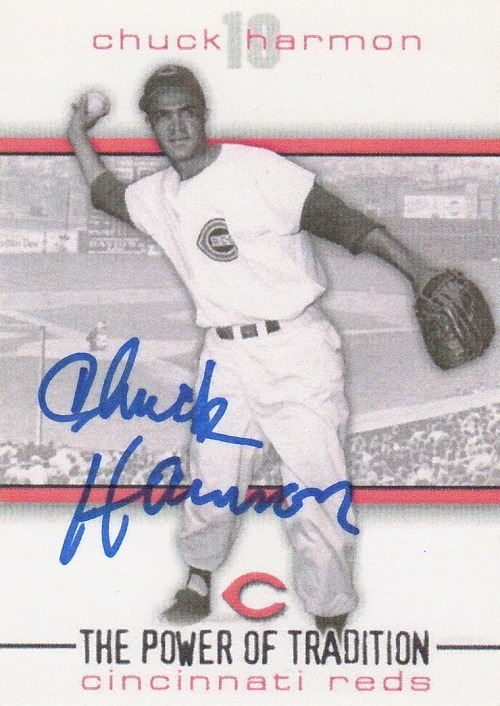 He was in the starting lineup 17 times at 6 different positions, including 16 years in a row from 1963 to 1978. 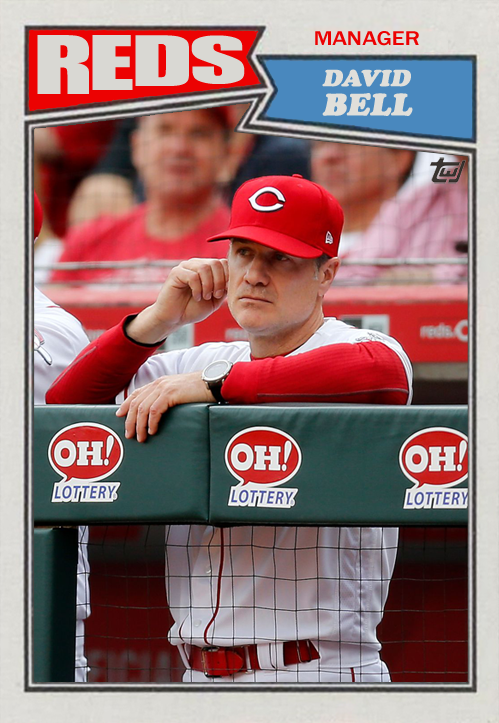 Five times in leftfield, four times at third, three times each at second and rightfield, once in center and finally at first in 1985. 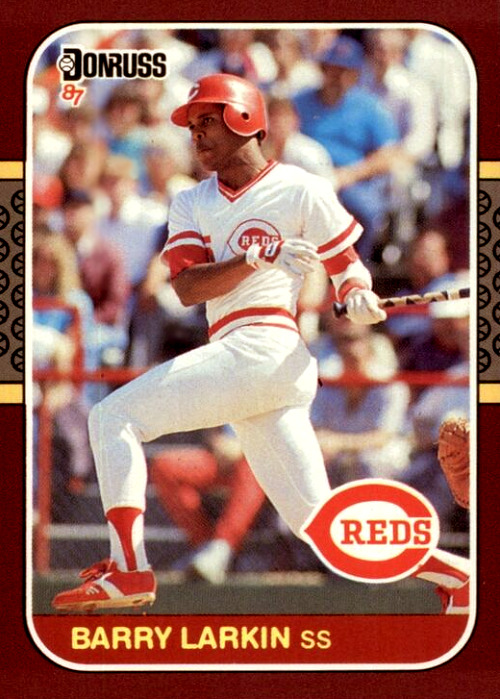 Several other players had impressive runs, including Ken Griffey Sr (1974-1980 in RF, 1981 in CF), Joe Morgan (1972-1979 at 2B), Ron Oester (1981-1987 and 1989 at 2B), Roy McMillan (1952-1960 at SS), Dave Concepcion (1970, 1972, 1974-1986 at SS), and Ernie Lombardi (1932-1933, 1935-1941 at C). 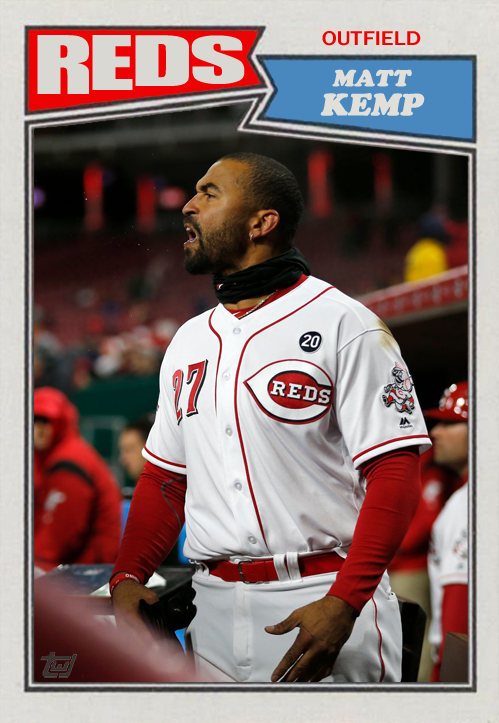 The Reds’ 2019 Opening Day lineup includes three first-timers for Cincinnati. 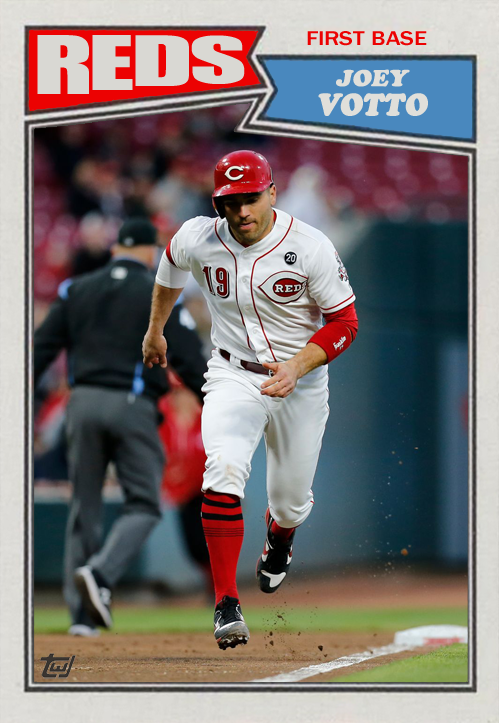 Second base: Jose Peraza 2 (2017, 2019); also started at shortstop in 2018. 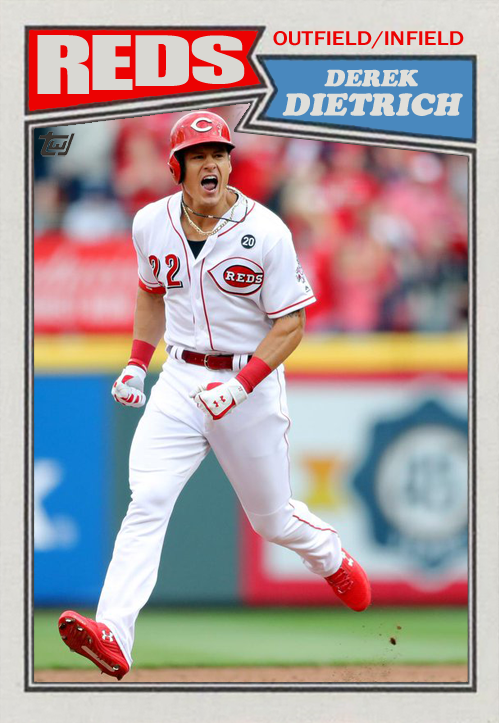 Centerfield: Scott Schebler 1 (2019); also started in rightfield 2017-2018. 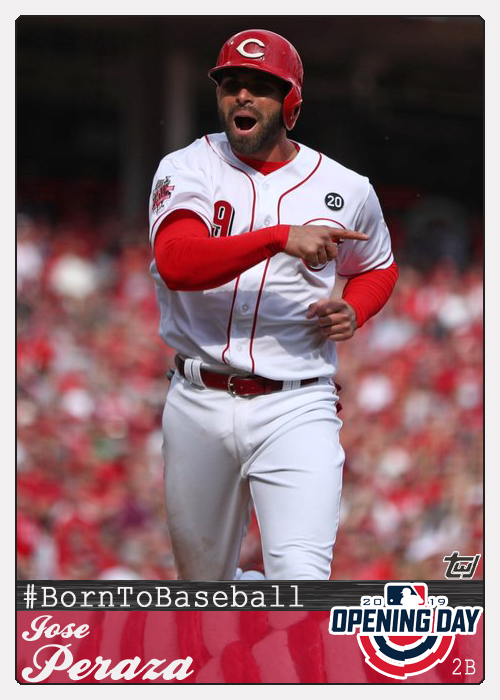 Rightfield: Yasiel Puig 1 (2019); this will be Puig’s first Opening Day as a Red, but he started the season in rightfield for the Dodgers 2014-2018.